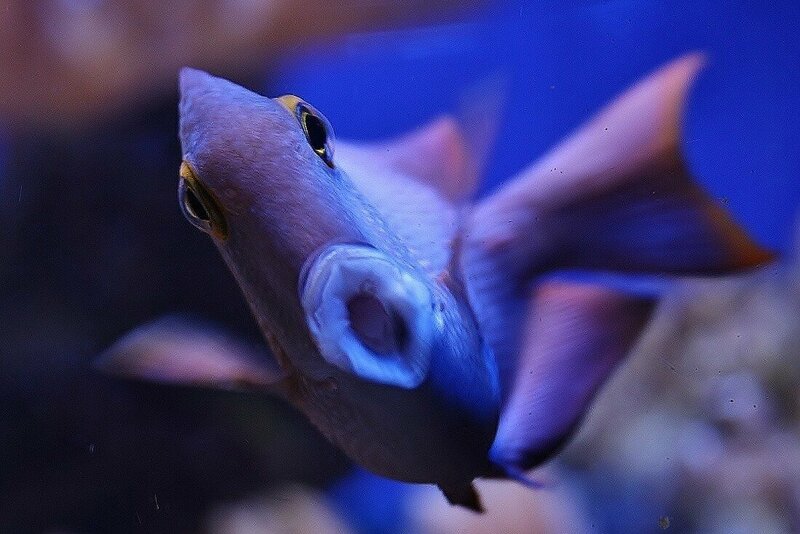 We hope you enjoy reading about Bristol Aquarium news, display updates and behind-the-scenes stories. 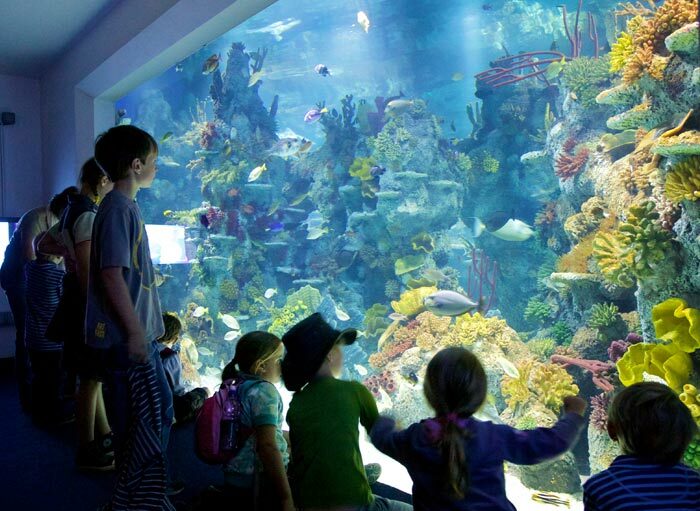 For more information on a particular news story please contact the aquarium office on 0117 929 8929. Welcome to Bristol’s very own interview with our creatures. Here, we interview our creatures and fish out the dirt and gossip from beneath the waves. How Deep is the Ocean REALLY? Nothing causes big mysterious waves quite like our oceans. Covering over 70% of the world’s surface and providing depths upon depths of exploration for divers, let’s find out just how deep our oceans really are. Pufferfish take on new training using a hula hoop! At Bristol Aquarium, tropical pufferfish are being trained to come to the surface of the water to be fed using a hula hoop. 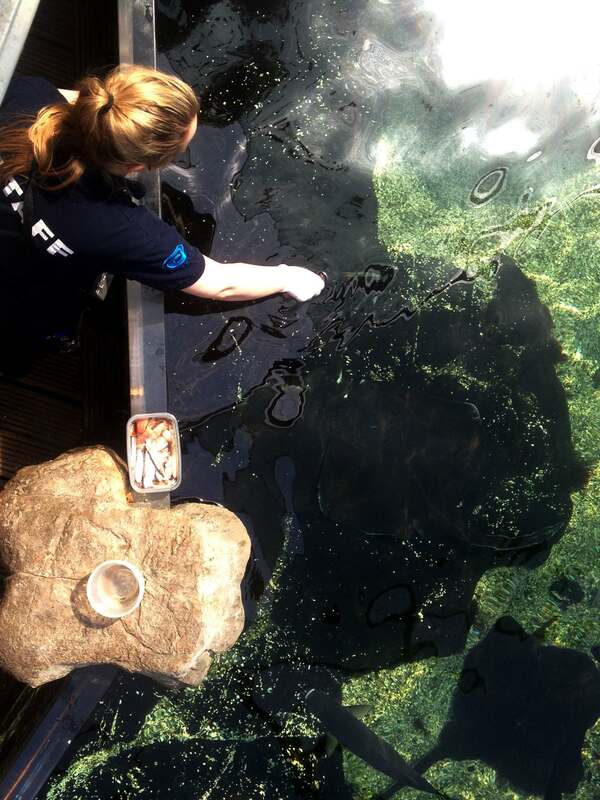 Enrichment training is a key to the welfare of captive animals and pufferfish are very intelligent, hence why they are being trained at Bristol Aquarium. Do we really know what’s beneath the surface of the deep blue sea? It’s not all cute, forgetful Dorys and funny clownfish like Marlin – further under the waves live some of the creepiest creatures in the world. Let’s meet them, shall we? 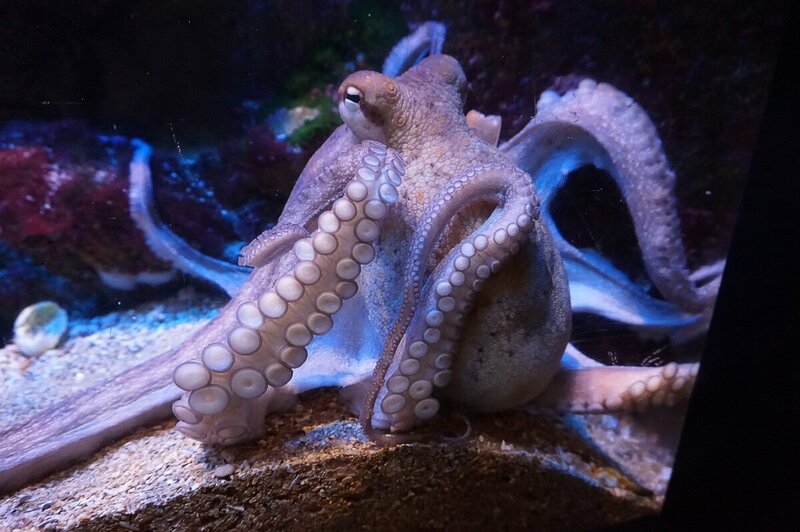 A new Giant Pacific Octopus has gone on display in Bristol. Aged just over 6 months, the octopus is a young juvenile and will now grow in her new home at Bristol Aquarium.